•	Designed to provide better fitting and tension adjustment. •	Provides warmth and comfort, while reducing pressure from the lower back. 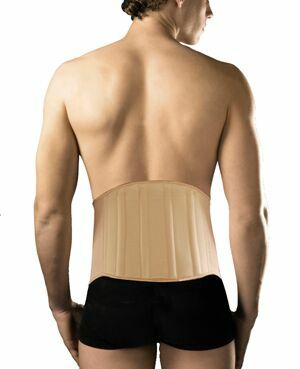 •	Helps in rehabilitation and pain reduction treatment after lower back injuries and/or surgeries. •	Breathable soft cotton for all day comfort. •	Helps minimizing sweating and reducing allergic skin reactions.